Last year I became an official ambassador for Polar Bottle USA. 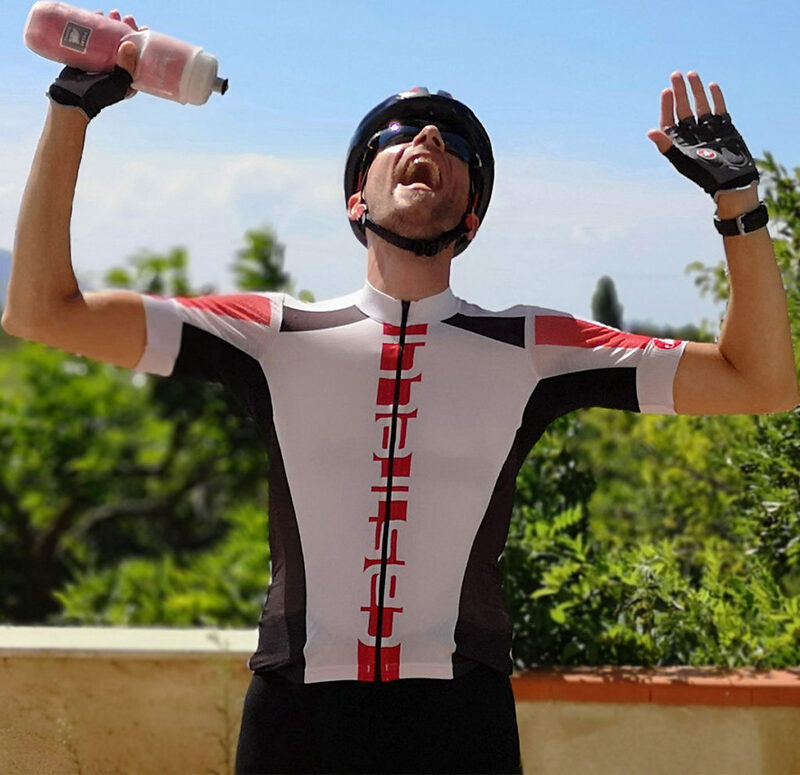 I’ve been using Polar bottles since I started cycling in sunny Sicily and for me they are hands down the best water bottles to use in warm weather conditions. I keep them in the freezer overnight and take them out one hour to two hours before my ride. This way the water will stay cold for up to 3-4 hours. 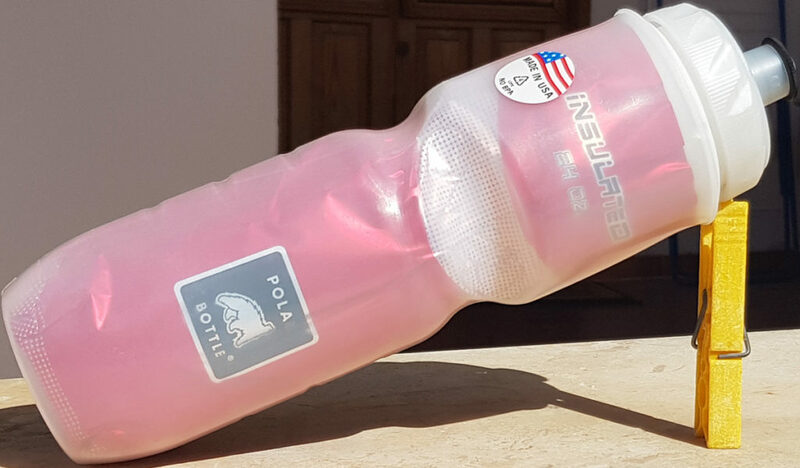 I have posted several Polar Bottle-themed images on Instagram, Twitter and Facebook and because several people were wondering how they were made, I decided to show you how I photoshopped them. TIP: click on an image to view the larger version. The first Photoshopped image was inspired by Marvel’s Infinity war. I didn’t like the movie as much as many did, but I did like the “Thanos dust effect”, so I decided to get myself “Thanosed” (not a word, but you know what I mean). The background wasn’t wide enough, so I chose a picture I took on a climb to the town of Grisì to use instead. To match the sunlight direction I flipped the image. I thought that the tree in the background was distracting so I moved it to the side. Because I wanted to blur the image I didn’t mind the obviously Photoshopped area next to the tree. I didn’t want the background to distract from the subject, so I blurred it a bit. Then I pasted the image of myself onto the background. Always take enough water with you! I came up with the idea for the second image when one of my clients during a guide bike ride was wondering whether two 700cl Polar bottles weren’t a bit too much. 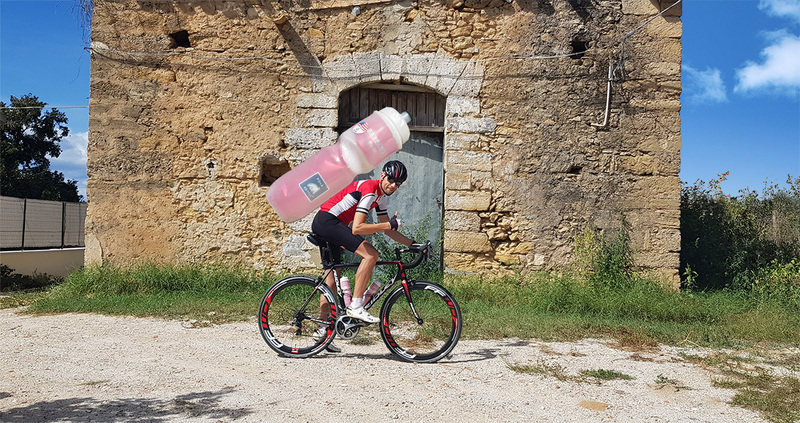 I explained him that there are few places where you can get drinking water when you ride inland, so it’s important to bring enough water with you, especially on hot sunny days! I cut out the bottle and placed it on my back. Clearly, This didn’t look good yet, so I added some shadows on the ground, on my back and on the bottle itself. I’m 1.83m tall. If that bottle were real, how much water could it contain? Let me know your estimate in the comments! My guess would be at least 300 liters. Good luck climbing with that weight on your back! Ciao! 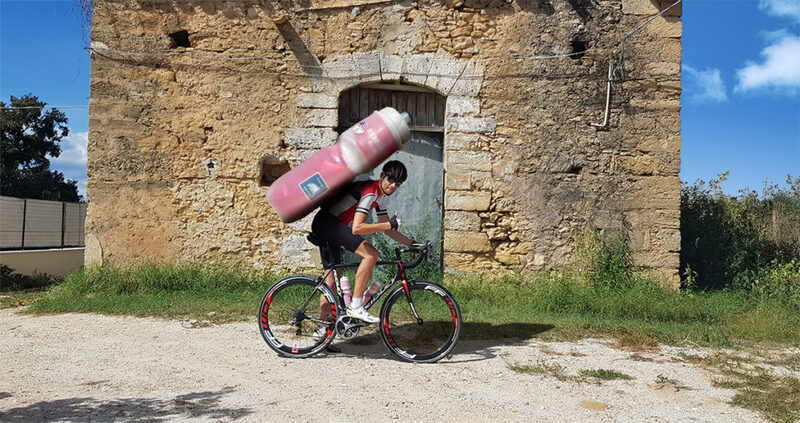 I'm Don Bici and I'm a cycling guide on the sunny island of Sicily and ambassador for Polar bottle and Pursu nutrition. I blog about cycling in Sicily, training and beautiful bike routes and post lots of pictures of this beautiful part of the island (the area between Palermo and Trapani).